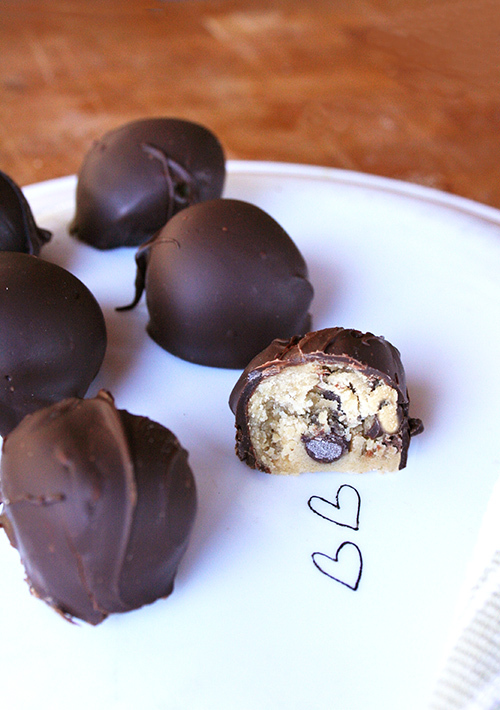 Olive oil chocolate chip cookie dough truffles. That's a mouthful to say, but an even more delicious mouthful to eat. Olive oil can be employed in this absolutely gorgeous egg-free (it won't kill you!) cookie dough for an intriguing flavor which becomes all the more seductive when coated in rich dark chocolate. Go ahead--you deserve it. So does your Valentine.